Matt does it again! Over the past several seasons, Matt has been nothing less but outstanding! Currently, he received his civil engineering degree from Manhattan College as a division I pole vaulter. Matt, this season again competed in craft events at USLA Nationals, including the open board race, surf ski, taplin and ironman. His passion is truly contagious as more Smith Point lifeguards jump in the workouts with Pluhowski. Matt’s kindness, hard work and selfless attitude has paid off, thus making him again the 2016 Smith Point Lifeguard of the Year. Congratulation Matt “Baby Blu” Pluhowski! Christian Roarke grew up with a strong love for athletics and the Ocean. He played three sports all through his high school career. With his affinity for helping others it was only natural for him to join the smith point lifeguard crew. 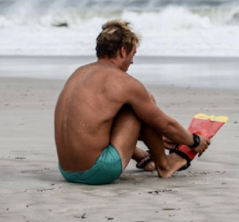 Christian first became a lifeguard in 2005 along with his several friends from the High School, following his long legacy of being fast on the field it was a natural transformation to lifesaving. Christian’s toughness, hard work and selfless attitude has paid off, thus making him the 2016 Smith Point Lifeguard of the Year. Emily Bardak is currently entering her Junior year at St Anthony’s High School. She maintains a 98% GPA, while competitively swimming for both her High School and Three Village Swim Club teams. She has been a New York State High School Swimming Qualifier in 7 events and is a Junior National Qualifier in the 100 yard butterfly and 200 yard Individual Medley. 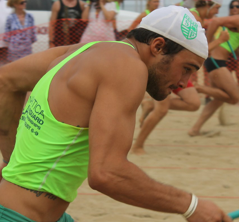 During her first season as a Smith Point Lifeguard, she attended USLA Nationals in Hermosa Beach, California. Emily placed 2nd in the run swim run event, and 7th in the distance swim. Additionally, she took part in 4 relay teams that placed in the top 5 spots at the USLA 2016 Nationals. Emily’s aspirations include graduating high school and pursuing a nursing degree while swimming competitively in college. Emily is humbled by the opportunity to have been selected for this position at Smith Point. She has trained with and learned from some of the finest lifeguards this season, and hopes to refine her skills at the beach for seasons to come.